Artists and arts organizations across the country often lack the extensive resources and time they require to develop compelling work – work that is ambitious, innovative and fully realized. As part of the Azrieli Foundation’s strategic vision, we hope to remedy this situation through our investment in The National Creation Fund. 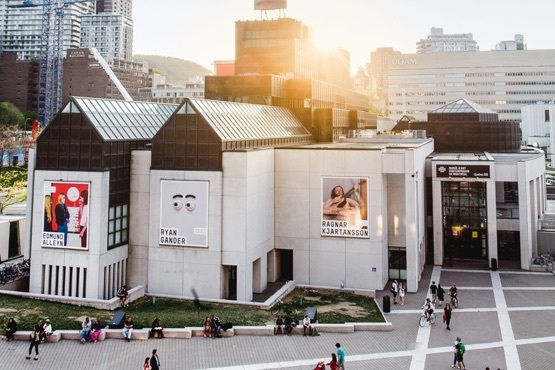 The Fund invests up to $3 million per year in the development of 15 to 20 compelling and ambitious new Canadian works in theatre, dance and music. Since 1978, Domaine Forget has dedicated itself to training promising young musicians through its internationally recognized Summer Academy. As it approaches its 40th anniversary, Domaine Forget seeks to ensure sustainable growth and to secure its future through the Creators of Talent campaign. 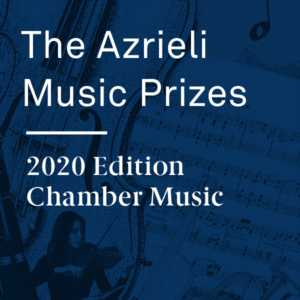 The Foundation supports this vision through the creation of The Azrieli Artistic Development Fund, the proceeds from which will help develop new artistic training programs, support existing musical training programs, and keep the Summer Academy affordable to the most promising musicians. CICF partners with the America-Israel Cultural Foundation (AICF) to offer a range of programming that advances artistic life in Israel and showcases Israeli culture in Canada across a wide range of disciplines. The Azrieli Foundation is proud to support the work of CICF and AICF in encouraging artistic excellence, especially among emerging and early career artists. The seven agricultural communities of Israel’s Central Arava Region identified music as a key cultural element to build community, bring people together and provide an active, therapeutic, cultural outlet. In 2014, the Rosenthal Arava Music Center was inaugurated, housing a regional music program led by ten professional teachers in cooperation with local volunteers. In funding the purchase of musical instruments and establishing scholarships for music lessons, the Azrieli Foundation helps to ensure that the Region is rich in arts, culture and desirable educational programming that enlivens its communities. Health Arts Society was founded in 2006 to meet the clear need for live professional arts programming for people in health care facilities. Thanks to the Society’s growth into a national network, more than 12,000 high-quality professional Concerts in Care have brought the performing arts to those who otherwise would be isolated from such enriching experiences. The Azrieli Foundation is pleased to support Health Arts Society’s ongoing capacity-building initiatives to improve the quality of life for many more people living in care. Devised by maestro Kent Nagano, La musique aux enfants gives Kindergarten students from underprivileged families in Montreal North access to an intensive and complete music education. The Azrieli Foundation is pleased to support a new cohort of students to participate in this vital initiative that encourages these children’s overall development, contributing to their success in the long-term. Sulamot, meaning both a ladder and a musical scale in Hebrew, is an innovative and inspiring music education program for children at-risk in Israel. By providing opportunities for these children to engage in meaningful music learning experiences – all within a patient, generous, and compassionate environment – Sulamot helps instill in them a sense of pride, belonging and hope. We are proud to cultivate and help grow artistic talent in Canada and in Israel. The Azrieli Foundation supported the TSO on its first-ever tour to Israel. Distinguished Israeli-Russian violinist Maxim Vengerov, celebrated Canadian pianist Jan Lisiecki and dazzling Canadian soprano Carla Huhtanen joined the TSO as featured soloists. The orchestra also gave Jewish Canadian composer Jordan Palm his first performance in Israel with his work, “Iris“. Unique to the tour was a cultural exchange for TSO musicians with the Israel Philharmonic Orchestra and a TSO Patron’s Tour to key cultural sites in Israel. Established in 1972, Calgary Opera has made its name based on a commitment to the development of both Canadian talent and new opera works, as well as to bringing opera to all ages in the community on a broad scale. For the last ten years, the Opera’s Emerging Artist Development Program has helped launch the careers of young opera singers by providing them the opportunity for intensive professional training, performance and touring. The Azrieli Foundation has partnered with Sir Jack Lyons Charitable Trust to support the Opera in piloting an international expansion of this program, inviting Israeli soprano Nofar Yacobi as its first Visiting International Emerging Artist. The Azrieli Foundation is pleased to support Leonard Cohen: Une brèche en toute chose/A Crack in Everything, part of the official program for Montréal’s 375th anniversary celebrations. This major exhibition, featuring 20 contemporary artworks by 40 artists from ten countries, is inspired by the world of Leonard Cohen and the great themes of his life and work. It is the first to be entirely devoted to the imagination and legacy of this great singer/songwriter, man of letters and global icon from Montreal. Hadassah Academic College aspires to set the standard of excellence for career-focused academic learning in Israel, exemplifying the strength of a diverse, inclusive, urban general college, transforming lives and communities through learning and cultural programming. 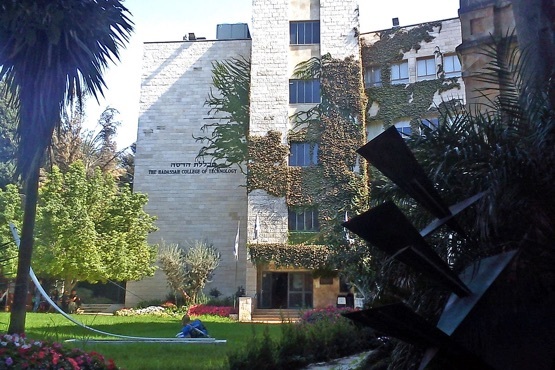 Recent growth in student enrollment invited an expansion of Hadassah’s historic downtown Jerusalem campus, including the creation of a new public gallery. The Azrieli Foundation is pleased to support the creation of this cultural gateway, designed to exhibit work by the city’s artistic community as well as the College’s photography and industrial design students. Its cultural contribution also reinforces the revitalization of the Jerusalem’s downtown core. The Azrieli Foundation was delighted to be a major sponsor of Chagall: Colour and Music, the largest Canadian exhibition devoted to artist Marc Chagall. Featuring 340 works of art and a large selection of documentary works, including films, photographs and musical excerpts, this multidisciplinary exhibition is the first to focus on Chagall’s profound connection to music in his life and work. 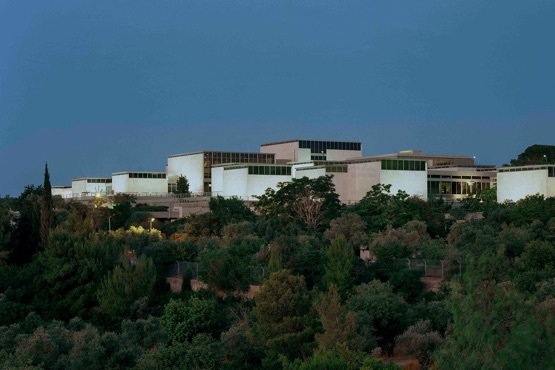 The Israel Museum is the largest cultural institution in Israel and is ranked among the world’s leading art and archaeology museums. 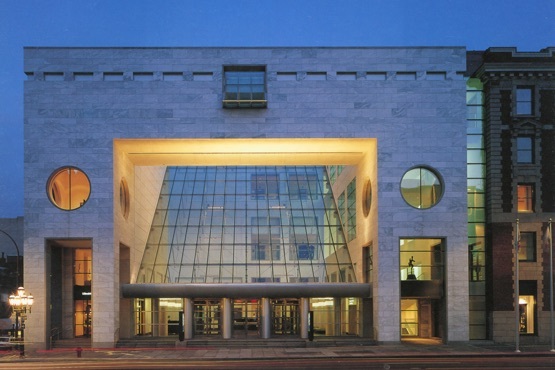 Founded in 1965, the Museum houses encyclopedic collections, including works dating from prehistory to the present day, in its Archaeology, Fine Arts, and Jewish Art and Life Wings, and features the most extensive holdings of biblical and Holy Land archaeology in the world. The Azrieli Foundation is proud to support this vital cultural institution. It is an honour for the Azrieli Foundation to provide ongoing support to the following organizations that continue to foster and elevate musicians and artists around the world.